Whether you’re embarking on a personal move to a new place in or outside the country, or you’re determined to attend a boat show, at some point you will probably need to send your boat or yacht to your new place. 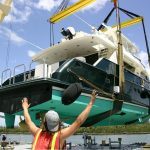 Yacht shipping and boat transport is often a difficult experience for first-time customers who are rightfully concerned about the wellbeing of their boat. Your boat is a massive investment and represents a part of yourself, so it’s important to have the right professionals behind the job. 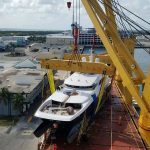 Since most first-time customers have a lot of questions about the process, United Yacht Transport has put together a review of the shipping process. You don’t want to show up to have fun at any of the events for boat owners only to be greeted by a damaged boat. 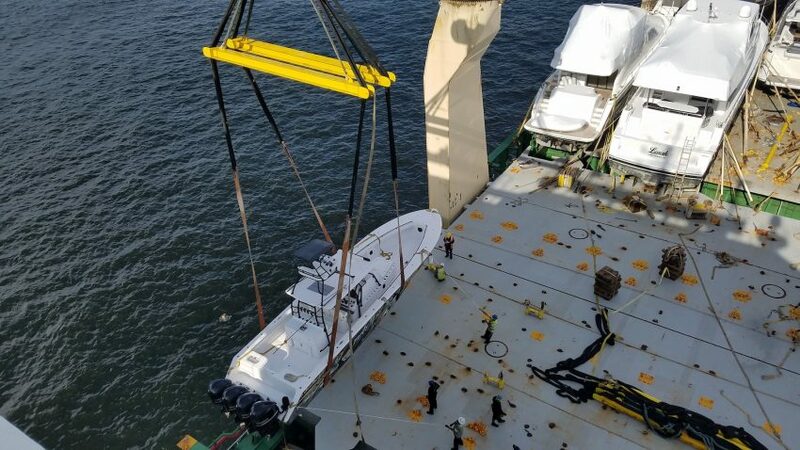 While United Yacht Transport professionally and safely ships boats and yachts, there are some basics you’ll do beforehand to ensure a safe delivery. Basically, you will do a few basics, such as securing electronics, sealing drawers that tend to open, and so on. 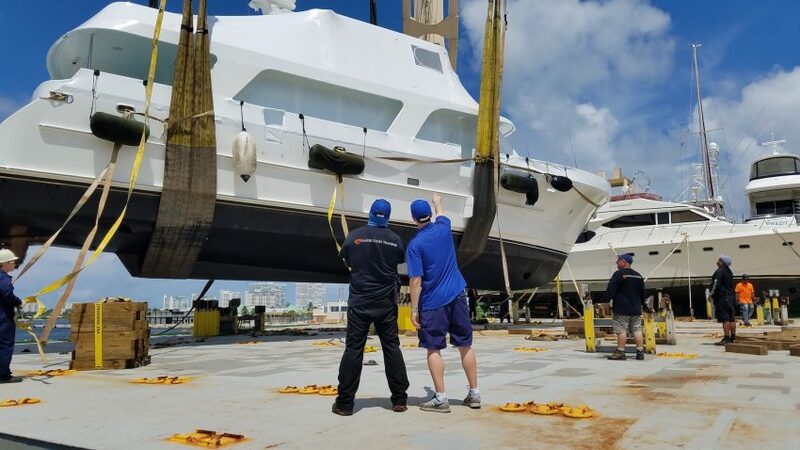 While some steps might be a little work—such as removing the mast, if necessary—United Yacht Transport will give you everything you need to know, including handy points, to help make the process easier. A little before the loading date, you will be sent a loading notice. This notice will include all the instructions needed to be ready. United Yacht Transport is committed to superior customer service, and you can expect clear communication and personal care. 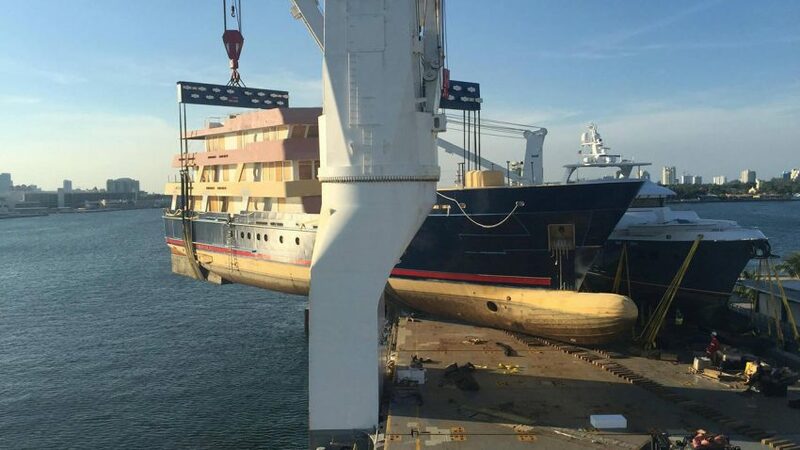 Once loaded, the United Yacht Transport difference really takes effect. Our team of experienced personnel not only uses the utmost in care, but also cutting-edge technology to ensure that we—and you—know where your yacht is at all times. As the largest yacht transportation company, we employ the most knowledgeable people and the most up-to-date tools, such as GPS tracking, to protect your asset. We do this not only in the United States, but with our network of employees and partners globally. Our rigorous standards ensure that your boat or yacht will be treated with the same level of care that you would treat it. Countless testimonials attest to a universal level of care regardless of the destination. For first-time customers, it might be tempting to go with a small boat shipping company. If you need to ship your boat or yacht locally, it might seem like a good idea to go with an individual who claims to have the proper truck and equipment to move your boat. The reality is, moving a boat or yacht safely requires a lot of experience and modern technology. Have the peace of mind that comes with a professional service. But don’t settle for just any service—get the absolute best from a record-breaking yacht transport company by requesting a free quote from United Yacht Transport today, and let us walk you through the process of a safe delivery! 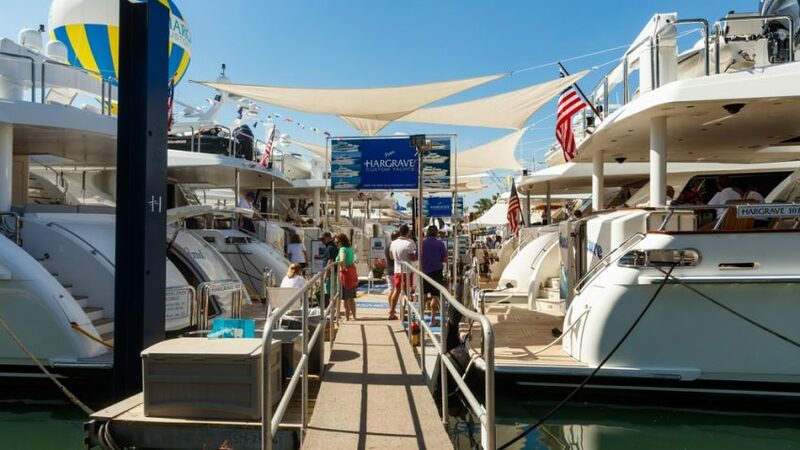 Attending a boat show, or taking a trip around the world? At some point in their lifetime, a boat or yacht owner will want to ship their precious vessel somewhere. 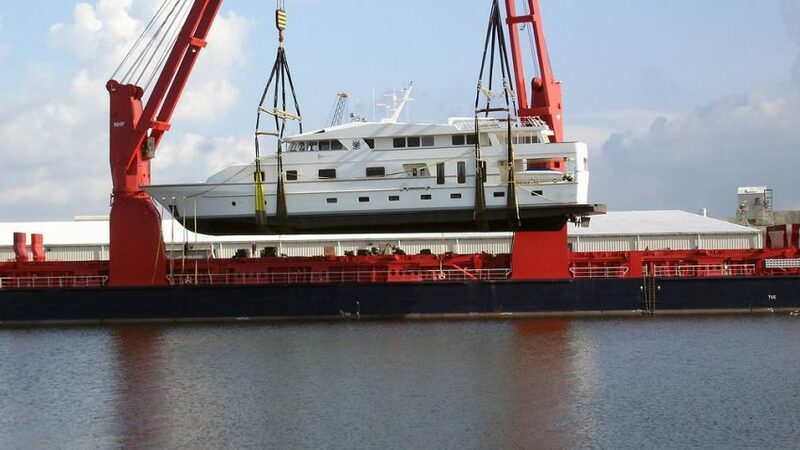 Yacht shipping and boat transport can be stressful the first time, even with a professional, record-breaking shipper like United Yacht Transport. Because we want you to be happy and stress-free, we’ve compiled some top tips for a smooth shipping experience. Read on, and set your mind at ease! United Yacht Transport ensures safe and professional boat shipping and yacht transport, but you don’t want to arrive at any of the events for boat owners with any internal damage to your belongings. Thus, it’s important to take some precautions before loading. Sealing drawers that tend to open, removing the mast, and ensuring your personal belongings are either removed or properly secured are a few of the steps you can take to keep your boat or yacht in top shape. We’re always available to help you with the process. A professional transportation service is staffed with top-notch talent. United Yacht Transport prides itself on employing the most knowledgeable team worldwide. 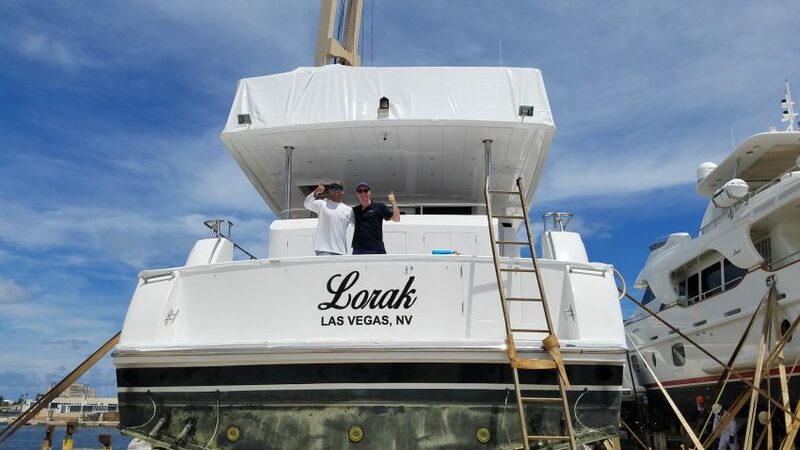 We’ll go out of our way to make sure you have every opportunity to ask questions about how we’ll handle your boat, but we can’t answer unasked questions! If something pops up at any stage of the process, be sure to let us know. Whether it’s a technical detail about insurance and liability, or simply the best way to prepare your boat or yacht for shipping, please ask! The more you know, the less stressed out you’ll be! Countless testimonials demonstrate our commitment to the absolute best in boat shipping, whether locally or worldwide. Our professional team always prioritizes you and your boat. But sometimes, things happen in your personal life that may change your needs or make you unavailable. 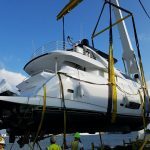 At the first sign that you’ll need to change your plans or need additional assistance, contact United Yacht Transport. United Yacht Transport will provide direct communication with all the necessary details about your loading day. You will receive this information in advance, so if you don’t understand any aspect of it, it’s important to ask ahead of time. This is also a great moment to ask any last-minute questions about how to prepare your boat. Be sure to allot yourself plenty of time to be available. You can eliminate a lot of stress by choosing a professional service. 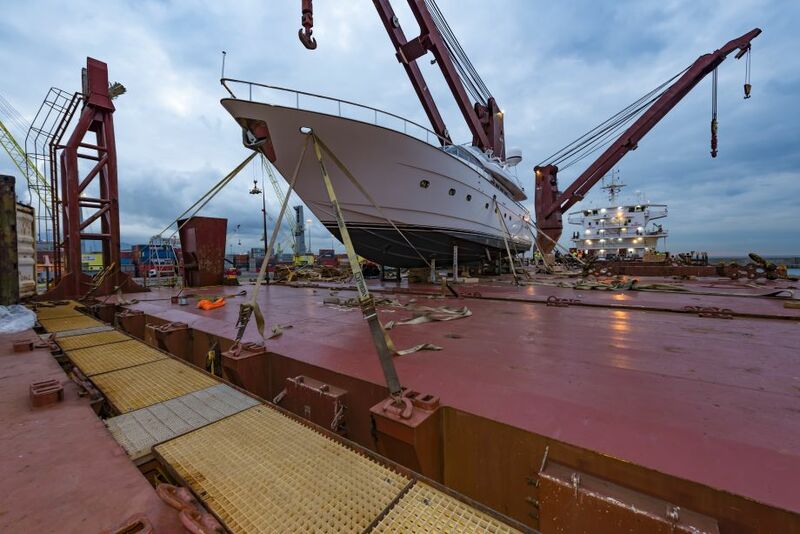 With cutting-edge technology, a global team of highly-knowledgeable experts, and record-breaking yacht transport history, United Yacht Transport is in a class of its own. Request a free quote and let us know any concerns you have about the process. Rest assured, we will put your mind at ease! 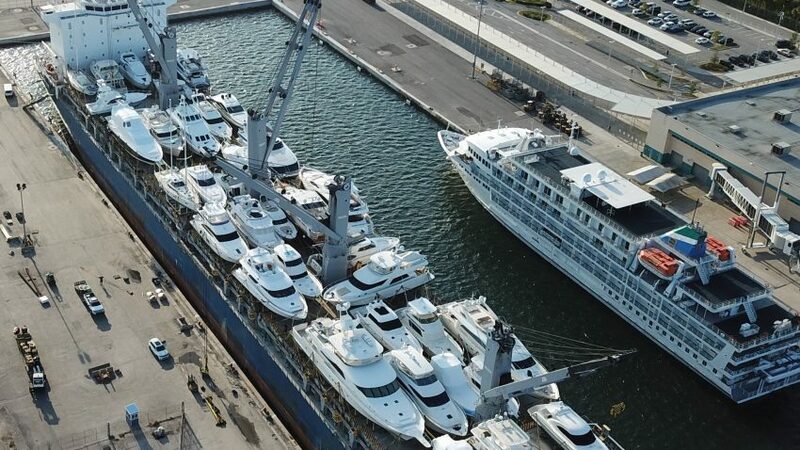 May 18 – United Yacht Transport (UYT) has loaded 19 yachts on board Intermarine’s heavy lift vessel Industrial Guide in Port Everglades, USA. 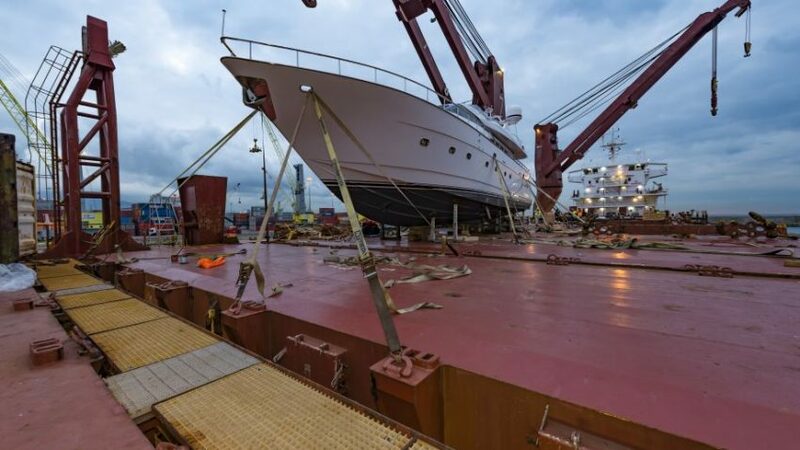 The 174 ft (53 m) Expedition yacht, named Ulucitcan, was the heaviest vessel to be loaded, weighing 650 tonnes. 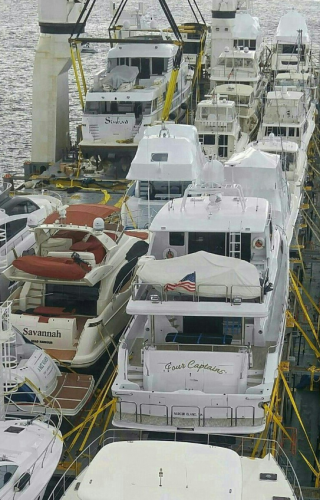 The 19 yachts, which included a 151 ft (46 m) Leopard and a 130 ft (39.6 m) Mangusta, were loaded above and below deck, filling the entire ship with over USD200 million worth of yachts, says UYT. 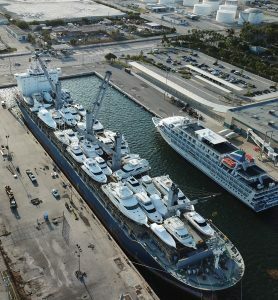 Paul Haber, UYT president, explained: “The most challenging part was the extensive logistics and pre-planning that needed to be done well in advance of the ship arriving in Port Everglades. As the captain of a 130-foot yacht, Christopher Campbell usually spends his time at the steering wheel. But one day last week, he walked the deck of a massive freighter at Port Everglades, waiting for his boss’ yacht to be lifted out of the water and fastened down for a long-distance voyage as cargo. 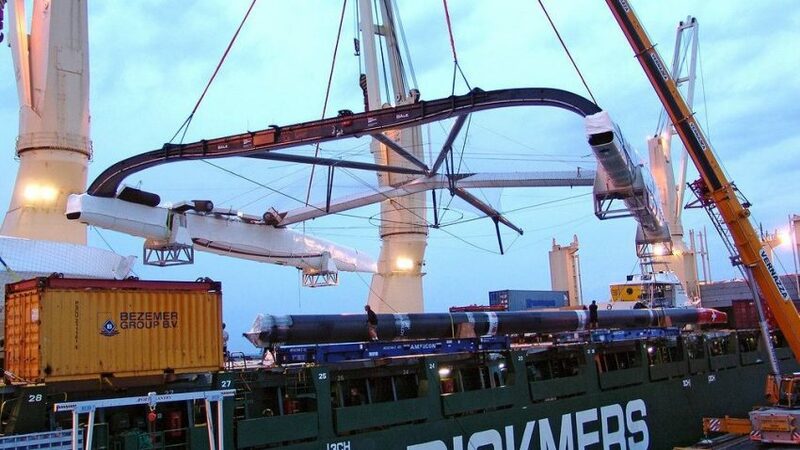 The boat was one of 27 carefully loaded on top of the nearly 525-foot-long Tong An Cheng freighter for shipment from Fort Lauderdale to the west coast of the U.S. and to Canada. The price tag for the shipment to Vancouver: About $180,000. 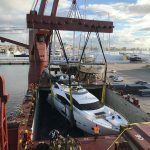 Yacht transport is big business in Fort Lauderdale, an area dubbed the yachting capital of the world. 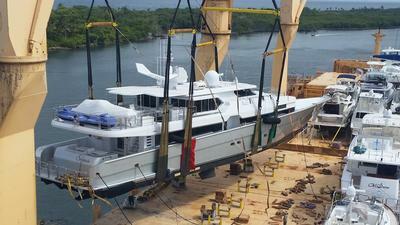 Hundreds of the sleek boats are shipped in and out of Port Everglades yearly on hulking freighters. Some yachts are shipped in for the area’s international boat shows, where they are displayed for sale and charter. Others come for repair and maintenance between summers in Europe and winters in the Caribbean. And some head out for delivery to owners who bought the boats in South Florida, the country’s leading market for yacht sales. The business is so big that former New York investment banker Paul Haber set up a company in 2013 in Fort Lauderdale to specialize in just one niche: transport around North America. 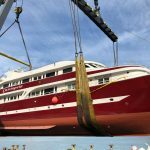 Haber said his business, United Yacht Transport, moved about 300 yachts last year and expects to handle even more deliveries this year. The shipment of 27 yachts was his biggest, he said. But why piggyback yachts on a freighter when they could sail on their own? Operating yachts across long distances costs a lot more, Campbell said. 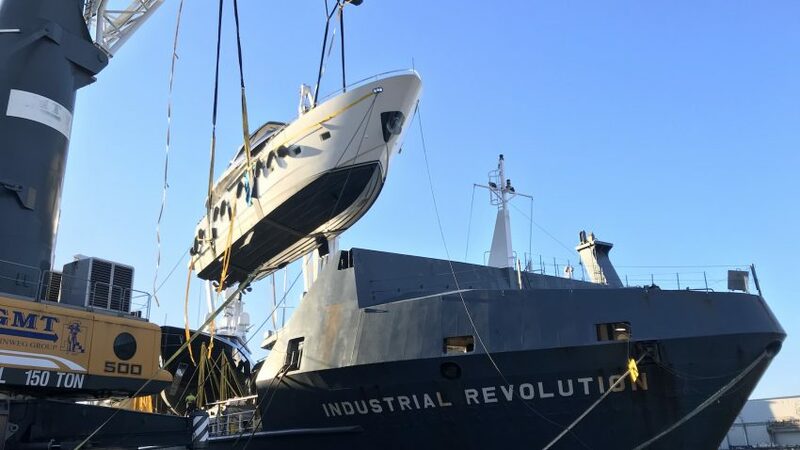 “To run this yacht from here to Vancouver — with fuel, maintenance, repairs and crew — you’d be talking well over half-a-million dollars,” Campbell said. Fuel alone could cost more than $200,000. Running a yacht full-out for weeks also causes added wear and tear. And self-powered trips take longer and leave more room for problems. The crew also would be spent, running the yacht hard for more than three weeks to Vancouver, sometimes in rough seas. “Heading up the West Coast is very difficult. There’s no shelter. You’re in open water. It’s pretty miserable, to be honest,” Campbell said. 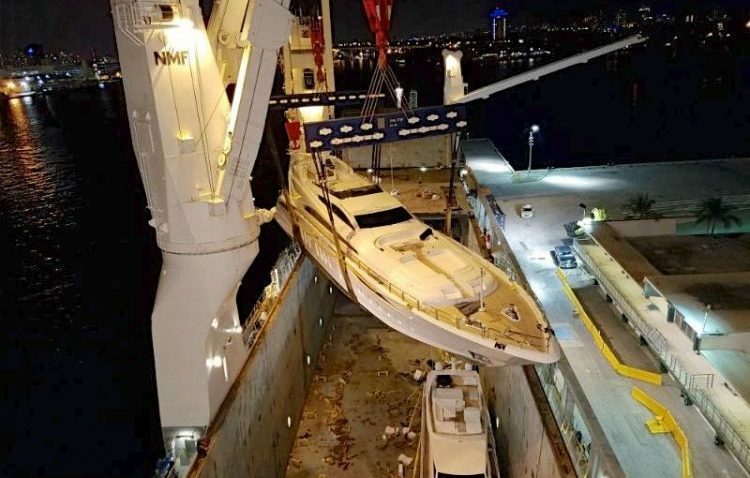 Loading a yacht onto a freighter for a voyage like that is no small job. Haber’s company uses a huge crane with an arm carrying a giant sling. 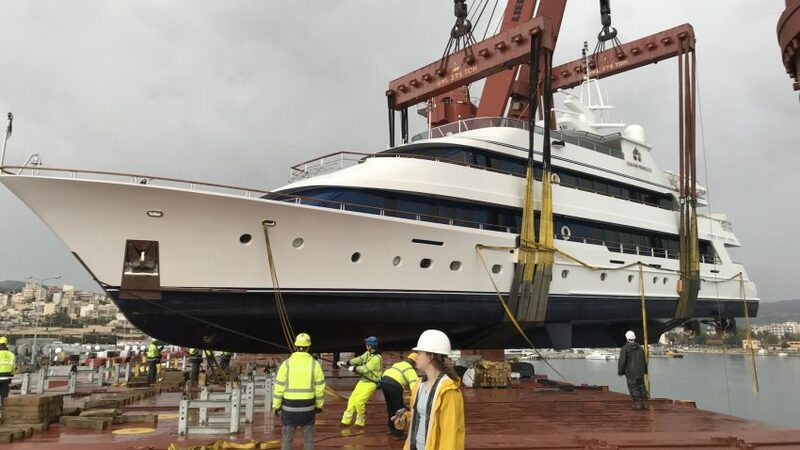 The sling is placed under the yacht, and the crane hoists the yacht out of the water and carries it above the deck of the freighter. Steel columns then are adjusted upward from the deck to meet the yacht, their wooden tops forming a cradle to hold the yacht in place. The columns next are welded into the decks to keep the yacht stable. And giant straps then are pulled over the boat to fasten it down, sometimes with chains attached for extra security. The process takes time. 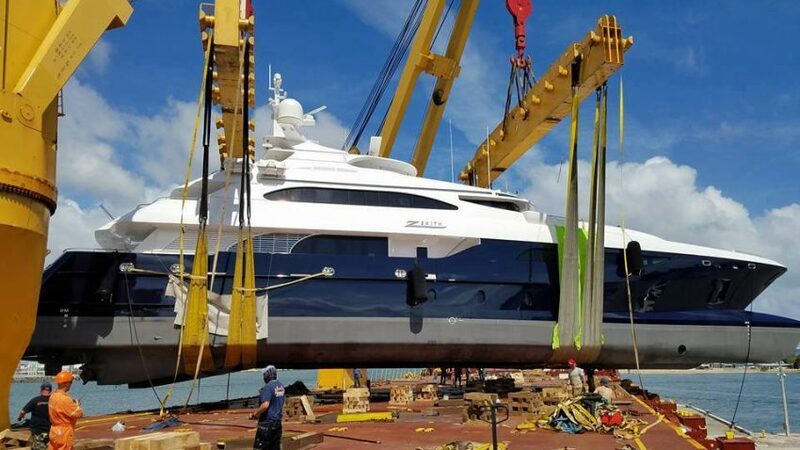 Campbell expected that loading his yacht would take about 24 hours, with crews working around-the-clock welding down the steel columns onto the deck. Haber’s company mainly transports yachts in the 50- to 80-foot range, with perhaps 30 percent of his business for yachts 100 feet or longer. His biggest shipment to date is a 151-footer. Yachts much bigger than that are tough to lift in a sling and often are loaded onto semi-submersible freighters instead. The world’s biggest yacht transporter, Sevenstar Yacht Transport in the Netherlands, owns some of those submersibles. It hauls lots of yachts between Europe and the Americas, the largest segment of the transport market, Haber said. Haber said he chose to focus on the less-contested North American market. His company doesn’t own freighters and rents deck space when needed. He aims to be the “low-cost” provider for yacht transport, so he can fill up the deck and leave no space empty. 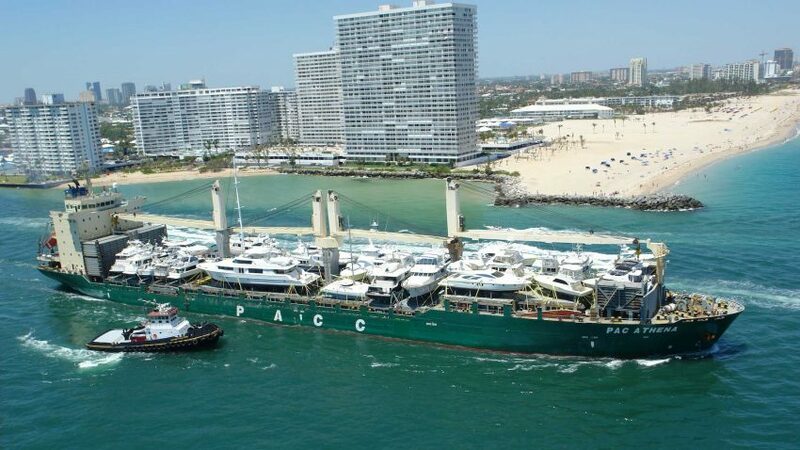 Most of his company’s deliveries are headed west from Port Everglades, like the 130-foot Oceanfast yacht that Campbell’s boss bought in Fort Lauderdale and was sending to his home in Vancouver. 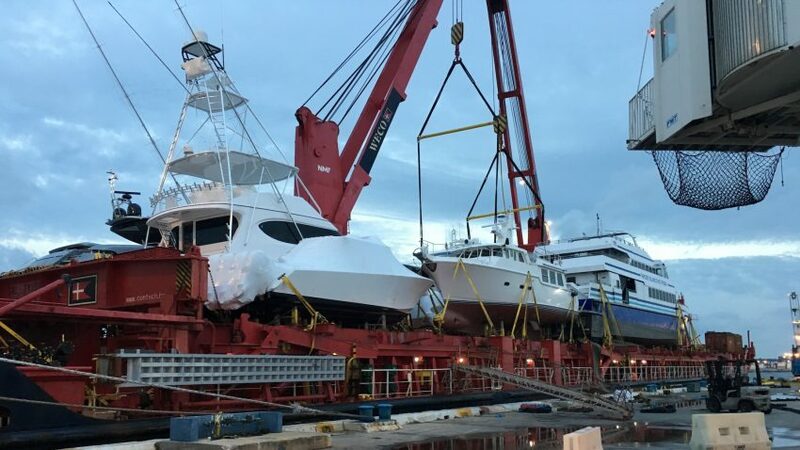 “Yachts in Fort Lauderdale happen to be about 25 percent cheaper than a similar boat in Seattle, because you have more boats here,” Haber said. That leaves opportunity to transport the yachts as cargo to the Pacific Coast. What is Voyage Insurance and Why Do You Need It? Washington Sea Grant's Marine Weather Workshop at Fishermen's Terminal - Sign Up Today! Seattle Boats Afloat - Yachts & More Show on the Water in the Pacific NW!